In August 2015, the U.S. Food & Drug Administration (FDA) announced a catheter recall for thousands of Beacon Tip Catheters manufactured by Cook Medical, Inc. The FDA categorized the recall as Class I, which indicates that the affected catheters have the potential to cause serious or life-threatening adverse health effects. By the time the Beacon Tip Cather recall was announced, Cook Medical had received 26 reports of the device malfunctioning, with 14 resulting in reports of adverse events. 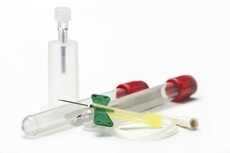 Cook Beacon Tip Catheters: What’s the Problem? An angiographic catheter is used to inject contrast dye into blood vessels in the heart to prepare it for a cardiac angiogram. The catheter is inserted into the body through a small puncture made in the skin and placed into the blood vessel along a guide wire before injecting the contrast dye. X-ray images are taken during the angiogram in order to obtain a detailed look at the heart’s blood vessels. Angioplasty may also be performed during the procedure if necessary. Complications associated with angiography are rare, but may include injury to the artery, allergic reaction to the dye or medications, excessive bleeding, bruising, and infection. According to Cook Medical, Beacon Tip Angiographic Catheters have been found to exhibit tip splitting or separation. Should the catheter tip split, the device could cease to function. If the tip splits or separates from the catheter, it may enter the patient’s blood stream, resulting in serious injury or death. Should this occur, additional medical intervention will be required to retrieve the catheter tip. The worldwide catheter recall encompasses some 90,000 devices, including more than 38,000 Beacon Tip Catheters that were sold in the United States. The catheters were manufactured from May 9, 2013, to September 1, 2014, and distributed from June 6, 2013, to June 25, 2015. A complete list of lot numbers can be found here. According to the FDA, Cook Medical sent its customers an Urgent Medical Device Recall letter advising that they immediately quarantine unused products from their inventory. Those devices should be returned to Cook Medical as soon as possible. Adverse events that may be related to the Cook catheter recall can be reported to the FDA at MedWatch Online or by calling 800-FDA-1088. Angiography patients who suffered serious injuries related to the splitting or separation of a Cook Beacon Tip Catheter may be entitled to compensation for medical bills, lost wages, pain and suffering, and more. To learn more about the legal options available to victims of the Cook catheter recall, please contact our office today by calling (888) 994-5118 to arrange for a free, no-obligation lawsuit review.